TV and video game timers enable you to automatically control how much television, video games and even computer access your child has. They typically work by providing child users either pin or token access with time credits on a daily or weekly basis. The devices control the power or signal/coaxial connection, and also include tamper-proof housings to prevent children bypassing them. The television (or computer monitor) will automatically turn off when time credits have expired. Users say that their households are much less stressful once children begin managing their own TV and video game time. One of our favorites is the Bob Screen Time Manager. The way it works is when a child's preset viewing time has expired, the Bob shuts off the attached TV, computer monitor, or video-game system and prevents it from being turned on by that user for the remainder of the day (or week). The Bob screen time manager provides pin access to different family members, with six child accounts and one master account for the parent. As well, it provides time-period blocking- five blocks per user for any or even all days of the week- a maximum of 35. So you could, for example, block out 5 pm to 7 pm for your children to do their homework. You can also easily add 'bonus time' as needed without disrupting the child user's schedule. It's secured with a key, which you should stash somewhere safe. The Bob power cord is plugged into the wall, which is how it controls the TV or monitor. You will then set the four digit master password and the current time of day. You are then able to manage a users time allowances either by day or week, but not both simultaneously. Buyers are generally pretty satisfied with this device saying that it has brought peace into households that were often torn apart by arguments around child TV viewing. Let's take a look at 5 of the best-selling options on the market today. This video & TV game limit timer offered by PlayLimit is compact, practical and a suitable for dealing with your child’s game obsession. Users love that it’s easy to use, but some do note that there isn’t HDMI connection option. 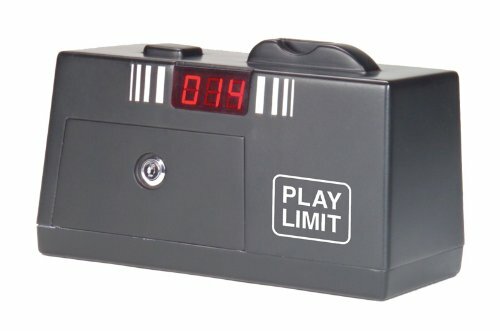 This video game control timer has a size of 8.1″ x 6″x 5.2″, a weight of 2.4 pounds, an easy-to-read display, a token box with 40 tokens (a token allows 15 minutes play time), and a parental switch override. You can connect it to a game console, VCR, DVD player or cable television and it comes with all the necessary cables, plus a manual. In general, users have a mixed opinion regarding the PlayLimit timer for TV. One buyer mentions that this TV timer was a life-saver for her house and that her boys even started to enjoy earning tokens. Another user comments that the TV time manager is very easy to program and that it’s an excellent choice for parents with younger children. On the other hand, a customer complains that this video limit timer is old-dated and it doesn’t read a digital signal. The user also mentions that the instructions are old-dated too. A reviewer also states that the tokens would get stuck from time to time and that a dollar coin can be used instead of a token. Some users also complained that it was very easy for their child to gain access to the back panel by accidentally dropping the timer. 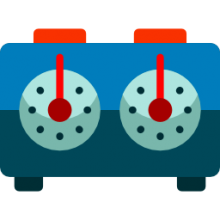 If you have troubles getting your kids to turn off the TV or the video game, you might want to try this game control timer offered by TV Allowance. Users love the blackout feature, but some do note that it’s harder to set it up than they expected. This TV limit control allows you set up a daily or weekly allowance TV or game time for up to six children and any remaining time can be transferred or eliminated. At the beginning of the week, the time allowance is automatically restored, but your game consoled or the TV should draw at least 50-watts of power for the time manager to work. In general, users have a favorable opinion of the TV Allowance game manager. A user comments that this TV limit controller is simple to use, effective and that she loves the daily allowance option. Another buyer mentions that you can connect this time manager to anything with a monitor and it has saved her many struggles and arguments. A happy purchaser shares that it’s incredibly easy to add the time once you set up the timer and that her 11-year old has started to enjoy doing chores to earn time. However, some customers have complained that the child’s codes don’t work or that the timer only operates in parents’ mode. Some also note that they couldn’t get any answers from support and that the company’s website is useless. A user also complains that the time limit device didn’t work with PS4. This TV time managing device offered by Nextphase is well-constructed, tamper-proofed and practical for controlling your child’s game time. Users love the easy set-up process, but some do note that the sudden loss of power might damage any device with a hard disk. The Nextphase TV controller allows you to set daily or weekly allowance time with a personal PIN code for every family member, and it has a time-period blocking feature ( up to 35 blocks per week), a time report option, and you can add and remove time. A happy user mentions that the Bob game manager is simple to program, effective and convenient because each child has his unique PIN code. The reviewer also states that the time report function allows her to check how much time her kids spend playing and if they are swapping their times. Another customer shares that there is a warning tone one minute before the time is up, so her child knows it’s time to shut down the game. A user stated that he was skeptical at first if Bob will do the job, but it turned out to be efficient, flexible and easy to use. However, some customers have complained that Bob time limiter would shut down randomly and that they had problems in parenting mode. Some also state that it won’t be too difficult for a teenager to figure out how to open the back and disconnect the cables. The Time Machine video game controller e is convenient, safe and easy to use. Users love the solid metal tokens, but some do note that if the power goes off, it will reset. 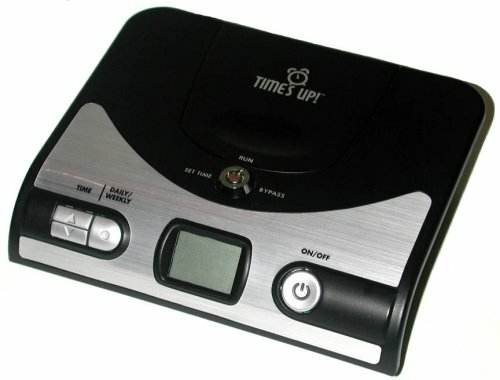 This game limit timer has a size of 9.8″ x 6.3″ x 6″, a weight of 2.5 pounds and you can use it to block the signal for the TV, DVD, or the video console without worrying that you’re going to damage something. The package includes an AC adapter and 30 reusable tokens, which allow 30 minutes of TV or game time. As a whole, users have a mixed opinion regarding this video game management timer. A buyer comments that he chose this game management controller because it doesn’t cut off the power to the TV and that it has a convenient pause option which allows her kids to save their time. Another customer comments that she has been using TV timer lock for the last ten months with no problems and her son has already started to learn to manage his own TV time. The reviewer also states that it’s very easy to set-up this video game limiter and that you can choose to block certain hours, but it doesn’t work with an HDMI adapter. Some customers have also complained that a determined child could easily pry open the timer’s lock or that if you shake it up hard enough you could get another 30 minutes. Some also state that the time manager they received didn’t work at all or that it stopped accepting coins after several weeks. This automatic video game time manager offered by Audecom is practical, cheap and suitable for parents who want to limit their child’s TV time. Users love the simple set-up process, but some do note that the warning alarm is loud and obnoxious. This Audecom game limiter has a size of 12″ x 4″ x 8″, and it automatically cuts the power off when the time is up. You have the option to set up daily or weekly time allowances in 30-minute increments. Overall, this is an inexpensive video game timer, but it has several shortcomings. In general, users have a mostly negative opinion of the Audecom automatic TV controller. A customer shares that this is a simple and effective TV time locker, but it allows you to set up only one limit. Another buyer mentions that the alarm starts five minutes before the time is up, and it’s annoying and loud, and would wake you up if you are sleeping. A pleased customer, on the other hand, states that he has no problems with this automatic TV controller and he uses it for his X-box. But some purchasers warn that since this time managing device cuts the power, it can fatally damage a plasma TV or a computer. Some also complain that it’s not suitable for older children since they can figure out how to open the back and remove the cables. 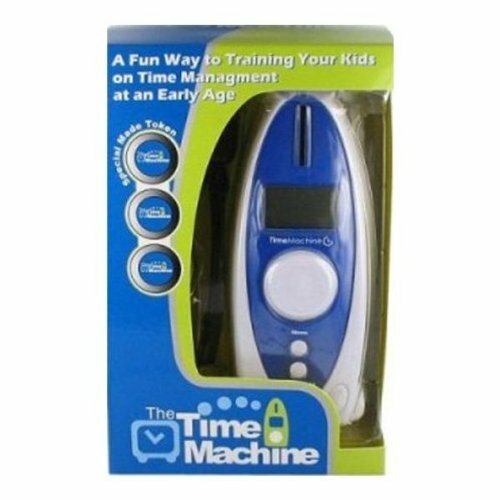 TV and video game timers come in a variety of different styles, as we have seen, and one of our favorites is the TV Allowance time manager. Its manufacturers promise a few key benefits- saying that there will be fewer arguments with your child regarding turning the television off every day. As well, your child will be able to manage their own TV viewing time, empowering them to begin making decisions for themselves. You will also free up more time in your child's life because they will be watching less television and presumably spending more time on intellectually healthy activities like reading or sports. As well, one of the better features of this TV and video game time manager is that it is automatic, which means that it weekly renews the time allowance. The way it works is that the device is connected between the television and the electrical power supply. The TV Allowance device effectively will control the time a television is powered on. You can set a weekly TV allowance time for up to six individual children- every child is provided a personalized 4 digit code that they can enter into the device to access the television. As the children begin watching television, their time credits are debited. Whenever the television shut off, the system will stop debiting time from that particular child's account. When they have used up all of their time credits, the television will turn off, not turning back on for them until their credits have been restored at the beginning of the next week. Additionally, you have the option of allowing remaining time for a week to be rolled over into the next. Another handy feature is that you can set blackout times so that TV access is prevented during homework or bedtime hours. 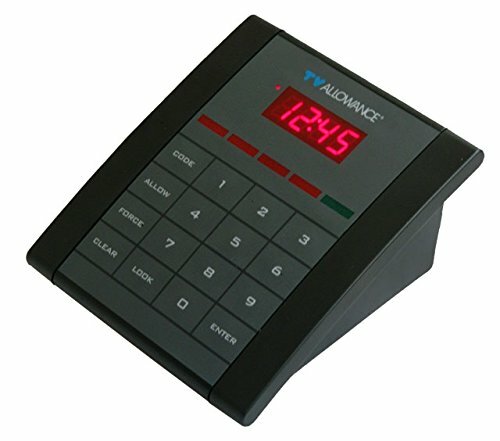 You can even use this TV allowance time manager on a desktop computer by plugging the monitor into the device. The monitor will then turn off whenever the time runs out- which is better than powering off the desktop machine itself. How Does TV Affect the Brains Of Children? The TV Allowance ﻿﻿playtime manager has a locking enclosure for the plug- this means that children can't unplug the device to bypass it. Users that we spoke to had mixed reviews, with some saying that it was a simple and effective option, while others saying that it felt like an antiquated device that needs a modern update. One satisfied user who has been using it for a number of years says that he has been able to use it for six different children's accounts, helping to manage their time more effectively and block out TV use during certain portions of the day. The way he often uses it is that he doles out time credits on a daily basis using a single code. Another reviewer had mixed praise for this device saying that it has several good features, but also some important drawbacks. They say that if you were trying to plug the TV allowance device into a plug that doesn't exactly meet the enclosure's dimensions, there is a very small margin of error, and it might not fit. Another problem is that there is no support for the TV Allowance time manager- so if you have problems with it, you'll have to resort to YouTube videos and forums to try to figure out how to adapt it to your needs. Other users have been able to make it work for their purposes, saying that it has saved them many headaches and struggles with their children. They found that they were able to connect it to anything with a monitor, including a computer, a television and any video games that are connected to the television. The effect is that their children are much more conscious about their television usage- making them really think about whether they want to be playing video games and watching TV, and whether it is actually worth their time to do so. One buyer describes purchasing two Bob play-time managers to set up with two individual televisions, unplugging the TV from its outlet and then connecting it to the small power box in the Bob. The way this user has configured it, they allow one hour of television per day and have blocked off TV access from 3 to 6 PM on school days so that their children can focus on homework. Then, on weekends, they are a bit more lenient, allowing the children to have access to 2 hours of TV every day. He also says that the device provides an audible warning when 60 seconds of time credits are left on the account. In general, he and other reviewers say that configuring this device and spending the time to learn how to work it, has reduced the stress levels in his household significantly. As well, he says that it took only around 10 minutes to get it up and running. 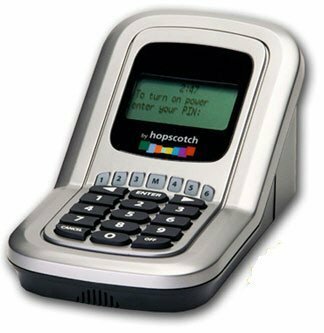 The four-line LCD display presents all of the menu options and you use the arrow keys and enter button to input your preferences into the machine. Another handy feature is that you can add or subtract time on the fly in 15-minute increments- so if you want to extend their viewing time to catch the end of a television show you can do it, or even subtract time as a merit. One criticism is that some users felt that the Bob should be a little bit more flexible. It is not easy to manually override the blackout time periods for a user if you want to enable access during that period- you essentially have to use the master password and so it manually since the child users can't log in while the time is blocked. Another user says that his kids hate the Bob device, but they are learning to work with it to manage their time playing video games. One downside this user noted is that whenever the power goes out you will have to set it up all over again. One other issue is that if you have guests staying over in your house you'll have to give them a 10 in order for them to watch the TV. Overall, users are pretty satisfied with the functionality of this device, but you will have to spend a little bit of time figuring out how to get it up and running for your particular purposes.